FUNGI are plant-like organisms that LOVE dark & moist places. WHAT ARE SOME FORMS OF FUNGI THAT HUMANS GET? 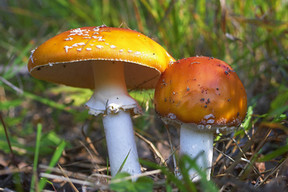 Warm, damp, and moist spaces are the prime place of residence for fungi. They love it. Make sure to keep these areas clean and dry. Dry them thoroughly after washing or being submerged in water (shower/bath/swimming). Moisturize these areas after thoroughly drying them. The From Mother's Garden Herbal Touch Creme is amazing on feet when athlete's foot is affecting you and we've been told it also feels great on your private area when experiencing a yeast infection. The clove oil helps to relieve the itching and pain while the other therapeutic ingredients work hard at soothing the skin. Try our Herbal Touch Lip Creme to help soothe cold sores, athlete's foot & acne. Get yours now by clicking here! Utilize baking soda (alkalizes & deodorizes), tea tree oil (antibacterial), organic lemon juice (alkalizes & cleanses) and apple Apple Cider Vinegar (kills fungus & bacteria). These ingredients are all your friends when yeast or fungus are near. Keep them in your cabinet because they're amazing for a lot of your needs. To avoid this in the future, consider what you were doing before you got the fungus overgrowth. When the issue started, were you eating a lot of foods that weaken the immune system? What made your body a comfortable place for this fungus to grow? What have you been eating? Be honest! Were you eating a lot of leaven breads or sugar? Have you been getting enough fresh and whole foods? Have you been drinking alcohol? Alcohol is full of sugar that can upset your body's alkalinity and the chemistry in our digestive tracts. What have you been sipping on? When the immune system is weakened, the whole body is weak. 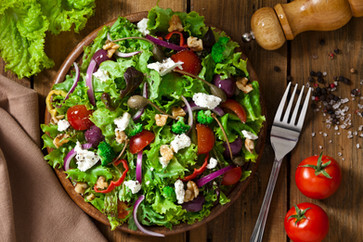 Strengthen the body with natural foods and options that strengthen and promote wellness. Let us know what works for you & check out the Herbal Touch herbal creme now by clicking here! Explore natural cure for athlete's foot and yeast infections. Stop consuming refined foods & using options that help yeast to thrive. We are all about natural healing and natural wellness at From Mother's Garden. Share your holistic remedies below!